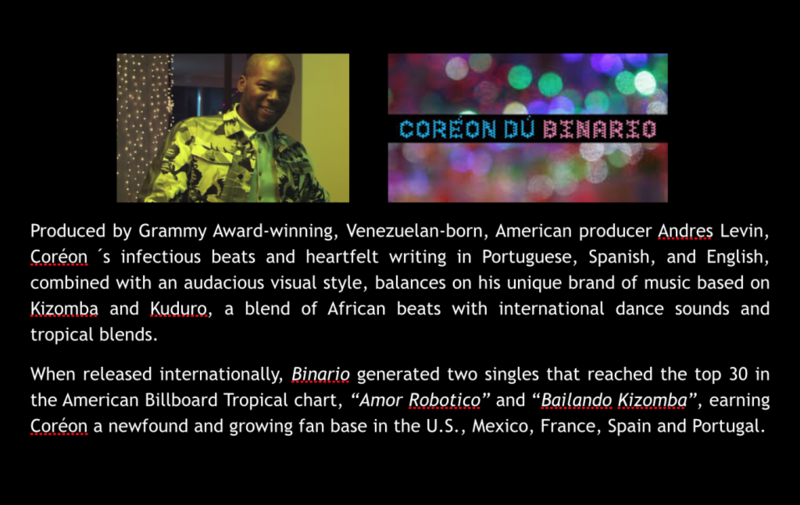 Coréon Dú, an enigmatic multi-media artist, known for generating groundbreaking pop-culture phenomena in his native Angola and in the Latin world is bringing his new album, Binario, in South Africa. Though this US-raised Angolan artist, has recently become known for his music career, Coréon Dú is also being feted for his critically acclaimed work as a creative director, writer and producer for film and television of the International Emmy Nominated soap opera, “Windeck”. 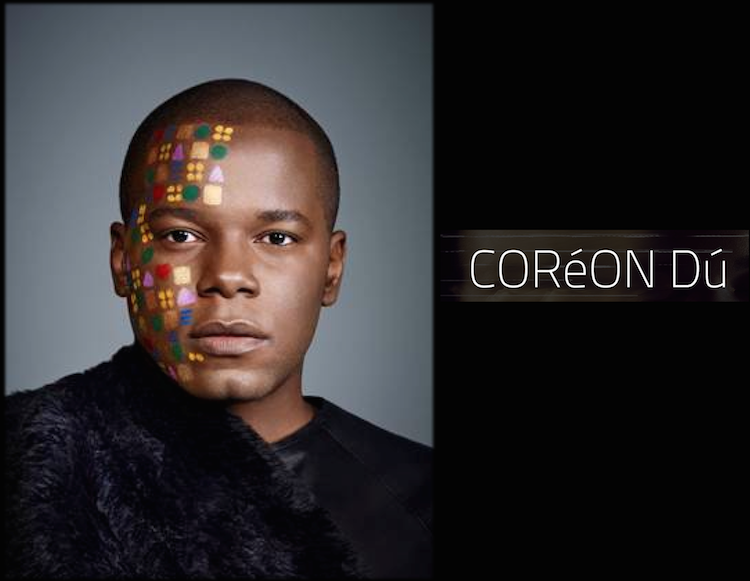 Coréon ìs turning heads for his unique sense of style and eye for fashion whether it is with his daring street style or scouting fashion’s next supermodel (he unearthed beauties such as international runway stars Amilna Estevao , Mauza Antonio and Maria Borges ). 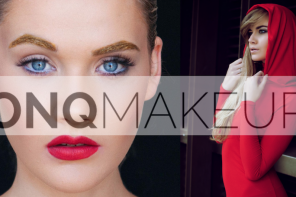 Coréon then created the WeDú by Coréon Dú fashion line. At first, simply the artist’s own merchandise, WeDú by Coréon Dú has since grown into a fashion line that caters to those who value bold, creative expression and cosmopolitan comfort. available in Angola and select African territories, with a growing demand in the new territories where Coréon’s art and style are being discovered. WeDú by Coréon Dú will also open an online store shortly.